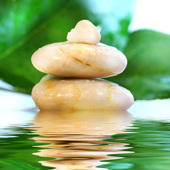 At Regenesis Integrative Health Centers we recognize the importance of whole-person health - mind, body and spirit. That's why our goal is to educate people on how to tap into the regenerative power of the body to heal itself. At Regenesis Integrative Health Centers we recognize the importance of whole-person health - mind, body and spirit. That's why our goal is to educate people on how to tap into the regenerative power of the body to heal itself and achieve optimal health. Through nutritional guidance and lifestyle counseling, our focus is to help stimulate the body's innate healing ability and empower people to make lifestyle changes necessary for best possible health. We also offer a wide array of other services including chiropractic, colon hydrotherapy, massage, skin care, and weight loss and anti-aging programs to support your wellness goals. At Regenesis you will find both the professionals and tools necessary to assist you in renewing the healthiest, happiest you. Embrace your innate wholeness!